From Marc Pritchard’s recent fiery speech at the IAB denouncing digital media dishonesty to Havas’ decision to freeze spending on YouTube and Google in the UK, transparency is one of the most pressing issues in digital marketing today. Kamran Asghar, the co-founder of Crossmedia, is particularly well positioned for increased industry interest. The transparency pitch seems to be working. Crossmedia won AOR media assignments for US Bank and The Hartford in part because of that promise. The agency experienced double-digit growth in 2016 and added 20 key client wins plus seven project assignments, totaling approximately $154 million in new billings. The additional assignments brought the agency’s billings to $350 million last year, up 40 percent from 2015. Asghar, a former planning director at Ogilvy & Mather, launched Crossmedia with Martin Albrecht in 2000. The company was launched on the belief that media is creative and designed to master the fast-growing digital marketplace. Its integrated service combines strategic capabilities with analytics services and transparent buying practices, and caters to brands looking for an alternative media partner. Amid the big data craze, Kamran introduced RedBox, a data analytics platform, in 2013. The data practice has attracted clients looking to monitor everything from brand health to consumer sentiment. 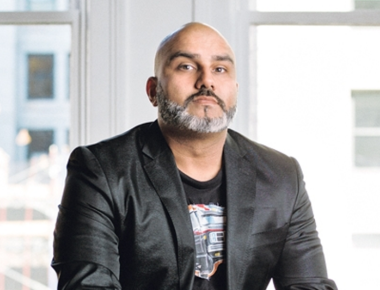 In 2016, Asghar also launched Crossmedia’s own programmatic buying desk out of the New York and Philadelphia offices, which the agency claims is a first for an independent media agency of its size.